As we go to press, the long-awaited key findings of Robert Mueller’s investigation into Trump’s ties to Russia have been made public. Mueller found no clear evidence of Trump and his 2016 presidential campaign “colluding” with Vladimir Putin. As regards Trump “obstructing justice,” Mueller says there is no conclusive evidence but does not exonerate him either. Trump and his associates are claiming victory, saying he has been “fully exonerated.” It is very clear that the “Russia, Russia, Russia” narrative that the Democratic leadership and the liberal media endlessly promoted for two years has hit the wall. Even leaving aside the very thin evidence of “collusion,” we have consistently pointed to the absurdity of the idea that a Russian intelligence operation was the decisive factor in the outcome of the 2016 elections. The Democratic leadership has spent two years demobilizing the movement against Trump by telling people to just wait until the Mueller report concludes. This of course is not the end of Trump’s legal problems as other investigations continue into his finances, his hush money payments to Stormy Daniels, etc. Also the Democratic-controlled House of Representatives is set to conduct extensive public hearings on all these issues, ensuring that the saga will continue indefinitely. 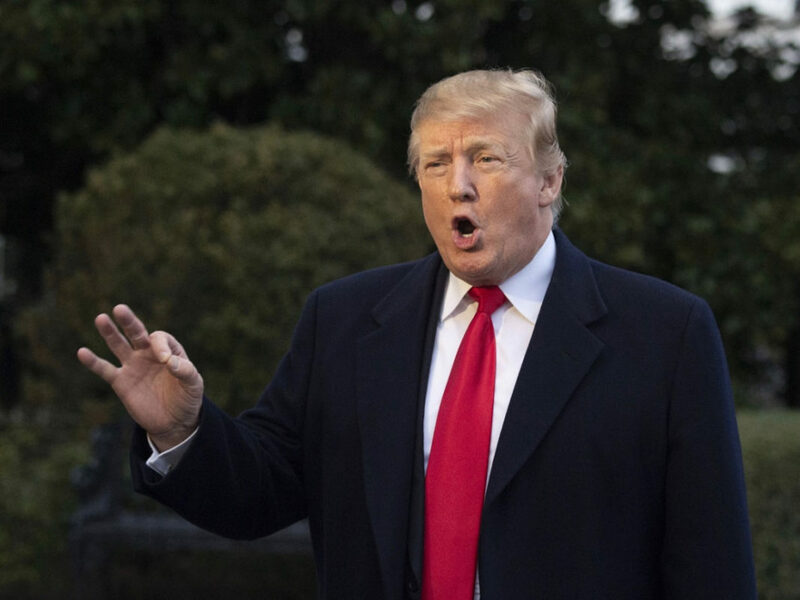 But as they already have largely taken impeachment off the table, the Mueller report looks set to end any chance the Democrats will actually seek to bring Trump down. The Democratic establishment has chosen to focus on completely secondary issues rather than mobilize working people and the oppressed on the issues they care about against this vicious regime. Threatening the health care of millions of people especially those near or below the poverty line. He and the Congressional Republicans have worked overtime to roll back the expansion of Medicaid. And despite repeatedly promising not to cut Medicare and Social Security in 2016 this is exactly what his new budget proposes to do. Meanwhile he and his billionaire cabinet have promoted massive tax cuts for big business and the rich. He has given the Christian Right everything they’ve asked for. In particular he has put two reactionaries on the Supreme Court who will attack voting rights, LGBTQ rights and especially Roe v. Wade, with abortion rights already severely under attack at the state level. Emboldening white nationalists and actively stoking racial division. This contributed directly to the Charlotesville neo-Nazi mobilization in 2017 and to the Pittsburgh anti-Semitic massacre in 2018. Promoting attacks on union rights, including last year’s Janus Supreme Court decisions. Though it’s clear that a strong labor movement is the only effective way to push back against the massive increase in inequality. Finally, but by no means least important, instead of acting to avert climate catastrophe, Trump pulled out of the limited Paris accord and has sought to rip up all Obama-era regulations that curbed pollution or sought to reduce carbon emissions. Like Nero, he dances while the planet burns. No other president since World War II has had disapproval ratings over 50% virtually since the day he took office. How is it that the Democratic establishment are managing to let this outright reactionary whose policies were again rejected by a clear majority in the midterms off the hook? It’s not just their focus on Mueller’s investigation as “the way” to harm Trump. The Democrats also failed to take advantage of the government shutdown which led to Trump’s highest disapproval ratings by not challenging his narrative of an “invasion” at the southern border and refusing to mobilize ordinary people in the streets. The corporate media sought to give Nancy Pelosi credit for bringing the shutdown to an end. But it was actually the action of air traffic controllers and flight attendants which threatened to lead to a full scale shutdown of the airports which brought Trump to heel within hours. The bottom line is that the Democrats, even if they formally oppose reactionary policies, refuse to mobilize ordinary people to fight back. The establishment also resists any significant reforms that would affect the corporate bottom line. They answer to their corporate donors who completely oppose Medicare for All and the Green New Deal; proposals that have been popularized by Bernie Sanders and Alexandria Ocasio-Cortez and are enormously popular in the voting base of the party. The outcome of the Mueller investigation was largely predictable. But it urgently poses the question: how are we going to fight back against the endless attacks by the right? In the past year young people have shown the way in the mass student walkouts demanding action on gun violence and climate change. Women have shown the way in the resistance to Kavanaugh. But most significant is the teachers revolt. By fighting alongside working class communities and reclaiming the strike weapon they have won significant gains from West Virginia to Oakland. They are showing the way to build the type of sustained mass movement we need. This movement also needs a political expression, which is why we need a new party that fights for the interests of working people not the billionaires. We support Bernie Sanders campaign for president because its program points in this direction despite the campaign being stuck inside the Democratic Party. This is why the ruling class would rather Trump win again than let Bernie near the White House. At this moment it’s critical that Bernie and AOC give real leadership and call for mass mobilizations and escalating action against this dangerous regime.